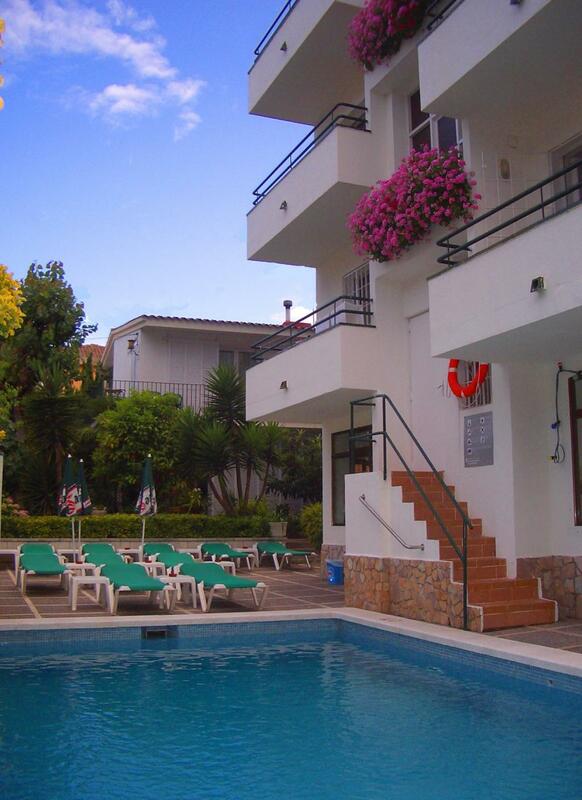 Only 150 m from the beach and close to the shopping area, is ideal for enjoying Lloret. Welcome to Hostel Magnolia, a small hostel with a warm, comfortable, family atmosphere where Santiago and Conchita are waiting for you. One of our main characteristics, one that we have maintained through our fifty years in the tourist industry, is the friendly and personalized service that our clients receive with the aim of making their stay as pleasant as possible. Hostel Magnolia is a family hostel that offers cosy lodgings at reasonable prices..
We are beautifully situated in a quiet section of Lloret de Mar, on the Costa Brava, very near to the beach. Our location, only 150 meters from the fantastic beach of Lloret de Mar, allows our visitors to enjoy this magnificent coast with its hiking trails which take you to marvellous little coves and paradises along our Mediterranean coast. Situated only a few steps from Lloret de Mar’s beach front promenade where you can enjoy healthy (pleasurable) walks or stop at any one of the many terraces where you can taste the local gastronomic offerings. We are also only a five-minute walk from Lloret’s commercial centre with its many and varied shops where you can find virtually anything your heart may desire. Thanks to Lloret de Mar’s fortuitous location, it is easy to visit interesting neighbouring places such as Blanes at 6 klm, Tossa de Mar at 10 klm, Girona at 40 klm or Barcelona at 70 klm. We at Hostel Magnolia can offer you information on how to easily organize your excursions and visits so that they fit your personal requirements. You also have the option of reserving your transport from either the Barcelona or Girona airports to Hostel Magnolia. Our house will be your house during your stay and we wish to welcome you again and again. Excellent garden to relax after a sunbath. The hostel has heating in all rooms and public areas.